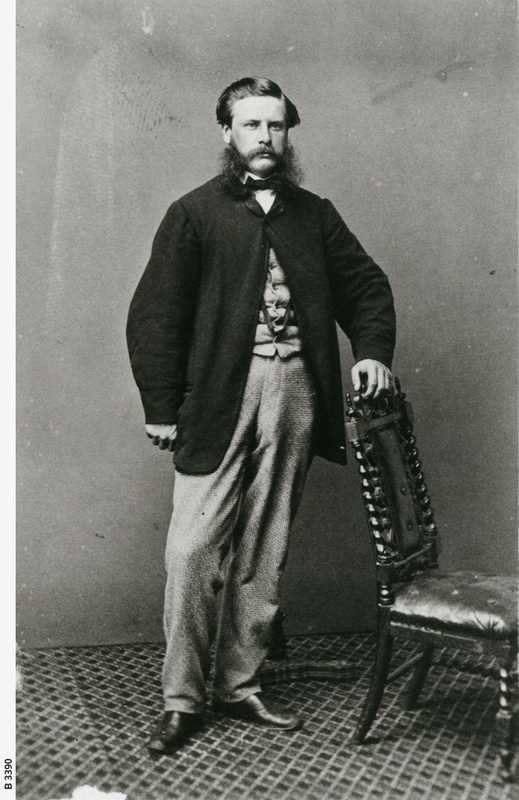 [General description] This full length portrait of Nathan Augustus Lord, pioneer of Mount Gambier, shows him standing, resting one arm upon the back of a chair. According to a researcher, Nathan's brother was Samuel Perkins Lord, who came to Melbourne on the steamer 'City of Norfolk' in 1853. He is reported to have introduced the game of baseball to Australia. When the confederate ship 'Shenandoah' docked at Williamstown, for maintenance and supplies during the civil war, S.P. Lord started proceedings to try to stop it from leaving. After the war the United States sued Great Britain for £3,000,000.